Do they have neurovascular deficits? 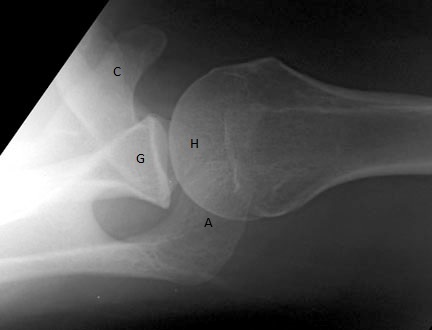 While uncommon in isolated shoulder injuries, distal pulse deficits are acute emergencies. Motor or sensory findings may also require change in management. Am I tailoring my exam to the presentation? Sometimes your best initial exam is limited to light palpation and ensuring normal neurovascular status. When a fracture/dislocation is highly suspected be reasonable in your expectations when assessing range of motion and strength. The exam can always be repeated and/or completed following effective analgesia. What is the most likely injury? Consider glenohumeral dislocation, acromioclavicular separation, proximal humerus fracture, and clavicle fracture, each amongst the most common traumatic shoulder injuries (Each of these injuries will be featured in separate posts). What imaging does this patient need? In isolated shoulder trauma plain films will almost always be the first step, ensuring appropriate views are ordered to answer your clinical question. How will I control their pain? Give early opiates and/or NSAIDS depending on the likely injury pattern and level of patient discomfort. 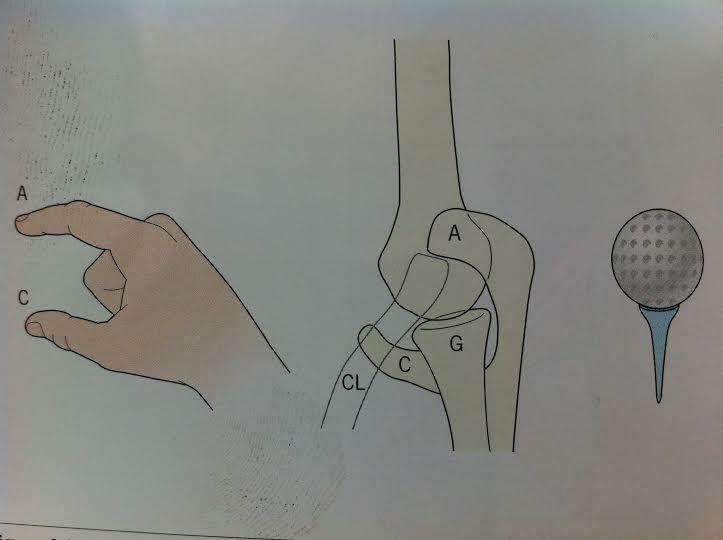 Consider intra-articular analgesia for suspected shoulder dislocations. 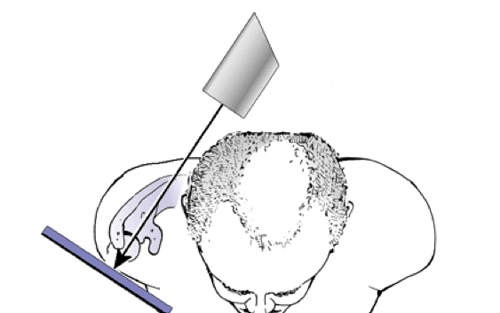 A shoulder trauma series will include AP, scapular Y, and axillary views. Additional views will be institution specific. In addition to identifying fractures look to see that the articular surfaces of the humerus and glenoid are opposed and that the inferior cortices of the acromion and distal clavicle align. The center of the humeral head overlies the glenoid and center of the “Y,” which is made up of the spine of the scapula, scapular blade, and coracoid process. 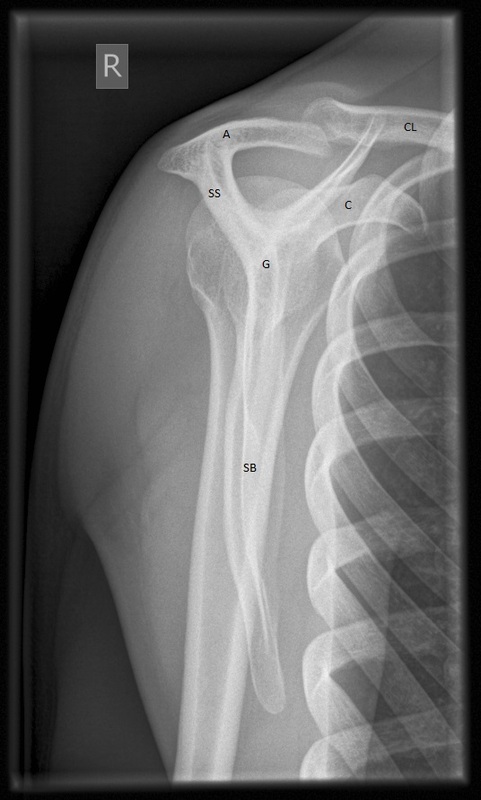 This view is helpful in confirming the nature of the shoulder dislocation suspected on clinical exam. This view confirms nature of shoulder dislocation (anterior vs. posterior) and provides better visualization of potential bony fragments from the glenoid and humeral head. 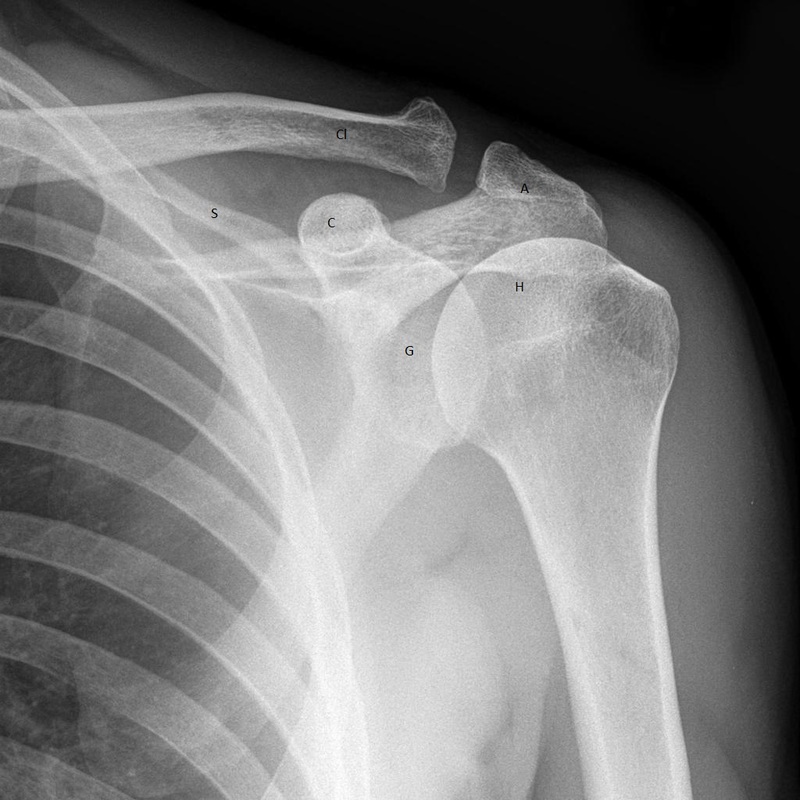 See subsequent posts for the diagnosis and management of the most common traumatic shoulder injuries.